If you need an ankle doctor in Northwest Indiana for an ankle injury, ankle sprain or ankle pain, our ankle doctor is here to help you. Dr. Nirenberg has been awarded “Best Podiatrist” or best foot and ankle doctor nine years in a row by readers of the Post-Tribune and our podiatry practice has been awarded “Best of the Region” by the NWI Times also nine times. Please read through our entire foot and ankle website to learn more about our foot and ankle injury treatment options, including advanced arthroscopic surgery, laser and endoscopic procedure. 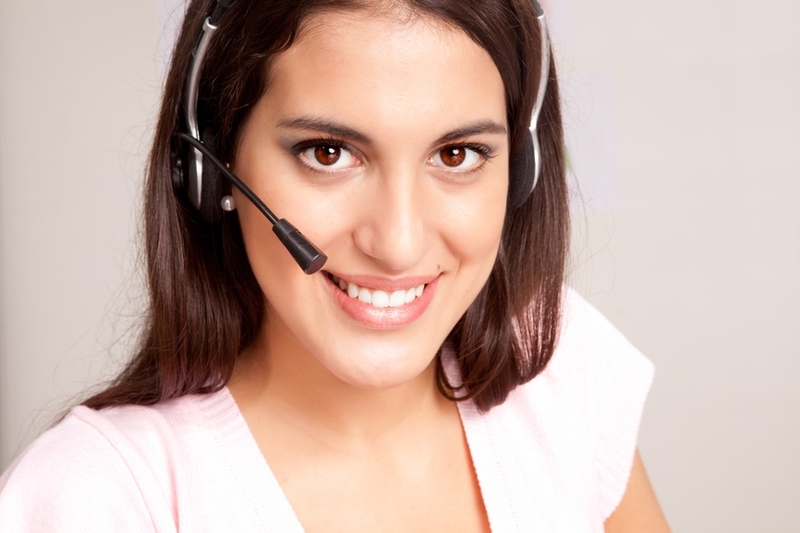 Read our patient reviews by clicking here! 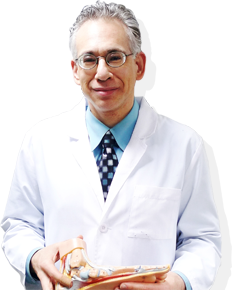 Our premier foot and ankle doctor, Dr. Nirenberg, has been treating children, teenagers and adults in Northwest Indiana (and beyond) who have an ankle problem, ankle injury or ankle pain for over 25 years. As an ankle doctor, he specializes in solving most of the toughest ankle problems, including an ankle sprain, ankle weakness (an ankle that “gives out” when walking), ankle clicking (ankle clicks or ankle dislocates), arthritis of the ankle, or a fracture or tendon tear, or ankle ligament injury or ankle ligament tear or rupture or a sports injury of the ankle. Our foot and ankle doctors and our entire Friendly Foot Care podiatry team has been providing expert treatment for ankle pain, ankle sprains and most every other ankle problem to people throughout Northwest Indiana for over 25 years. Providing care as an ankle doctor, Dr. Nirenberg is certain to thoroughly evaluate your ankle (and foot) injury or problem provide you with comprehensive foot or ankle treatment. Each of our podiatrists (each foot and ankle doctor) may use conservative methods or surgery to help treat your ankle problem. If you have an ankle problem or ankle pain, call us today at (219)663-2273 or make an appointment online by clicking here. As an ankle doctor, Dr. Nirenberg often provides treatment for ankle pain or an ankle injury, such as an ankle sprain or ankle weakness (an ankle that “gives out”). Causes of ankle pain include ankle arthritis, tendon problems of ankle (torn ankle tendon or injured ankle tendon or tendonitis), or ankle ligament tears or even an ankle fracture, ankle infection or gout in the ankle. Our main ankle doctor, Dr. Nirenberg, provides second opinions or revision surgery for person who had prior ankle surgery and/or treatment and believe they need additional ankle treatment or ankle surgery. Feel free to read our patient reviews by clicking here! To see our ankle doctor, call us today at (219)663-2273 or make an appointment online by clicking here. Dr. Nirenberg, our premiere foot and ankle doctor, will often begin evaluating your ankle injury (ankle sprain or twisted ankle) or your ankle pain or problem by checking your circulation, range of motion and temperature of the joint. 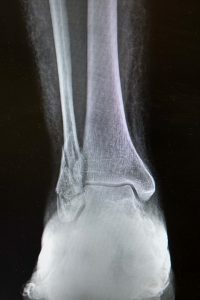 Often, ankle x-rays will done. Our Northwest Indiana office offers digital x-rays to immediately evaluate your ankle injury or ankle pain or ankle problem. Digital foot and ankle x-rays provide our ankle doctor with a superior image over conventional x-rays and emit less radiation making them safer for you! Ankle sprains and ankle injuries, particular ankle tendon injury or ankle tendon pain or ankle tendon tears, may be evaluated in our Northwest Indiana office with our diagnostic ultrasound machine by our ankle. Many ankle injuries are sports injuries of the ankle but people can have an ankle sprain just walking through their kitchen or just about anywhere. Common sports injuries our Northwest Indiana provides ankle treatment for includes an ankle sprain, an ankle fracture, ankle arthritis, ankle weakness (or a weak ankle) and a sore or twisted ankle (or foot). Our ankle doctor provides ankle treatment for athletes who sustain an athletic ankle sprain or ankle injury during many sports, especially soccer, baseball, football, tennis, and running and jogging. Many runners sustain a twisted ankle (or ankle sprain) at some point and our ankle doctor knows how it important it is to provide prompt, thorough treatment to runners so they can quickly get back to doing what they love — running! Of course, anyone can injure their ankle and need ankle treatment. Our foot and ankle doctor provides ankle treatment to children, diabetics, and people of all ages. Some people can even have a gout attack in the ankle. Gout tends to affect the big toe but it can occur in any joint of the foot or ankle. Gout in the ankle needs to distinguished from other ankle problems, such as infection or trauma or arthritis. Persons with a nerve problem, pinched nerve or neuropathy of the foot or ankle may walk unsteady and be more prone to an ankle sprain or ankle injury. Our ankle doctor may also use MRI or CT scan or in some cases bone scans to evaluate complex or ongoing ankle pain, ankle weakness or a severe ankle sprain. To have your ankle evaluated and treated by one of our ankle doctors, call us today at (219)663-2273 or make an appointment online by clicking here. Our caring podiatrist office sees people with foot or ankle problems from all of Northwest Indiana. If you need a podiatrist in Northwest Indiana for ankle pain or foot pain treatment we are here for you. Or if you need a podiatrist in Schererville, or a podiatrist in Valparaiso, in Merrillville, in Dyer, in Winfield, or a podiatrist in Highland, in Chesterton, in Gary, in St. John, in Kouts, in Cedar Lake, in Griffith, in Lowell, in Wheatfield, in Hammond, in Munster, in Lafayette, in Roselawn, in Hobart, in Michigan City, in Portage, in East Chicago, Kouts, or in Valparaiso or in La Porte our podiatrist office is nearby, convenient and worth the drive! Call us today at (219)663-2273 to be thoroughly evaluated by one of our friendly, expert foot doctors! Our ankle doctor will utilize many different ankle treatments for your ankle pain, ankle sprain or ankle problem. Common ankle treatment for an injured or painful ankle by our foot or ankle doctor may include bracing, medication, injections, physical therapy, foot supports (custom made foot orthotics) and other ankle treatments, such as hi-tech arthroscopic ankle surgery. Arthroscopic ankle surgery allows our ankle doctor to “clean out” arthritis and arthritis-related inflammation from the ankle joint for some people. The ankle surgery procedure is short and usually done on an out-patient basis, similar to many of our podiatrist foot surgery procedures. If you have an ankle injury, ankle sprain or simply ankle arthritis or ankle pain, call us today at (219)663-2273 or make an appointment online by clicking here.